SAN ANTONIO - A middle school student who uses her YouTube channel to showcase her art is hoping her work will inspire others. But it’s where she’s taking her skills to inspire girls like herself that's making her latest project more impactful. “That is just what art is supposed to do. It is supposed tell a story or inspire others,” said Skye Stephens, who has been drawing since she was a toddler. Art is something that runs in the family. “She drew these pictures of mom and dad. They were very talented for a 2-year-old to be able to even hold the pencil correctly and draw a picture,” said Denise Smith, Skye’s mother. “I would always see my dad do it and see my mom being creative, making shirts and stuff, and I wanted to do it too,” Skye said. 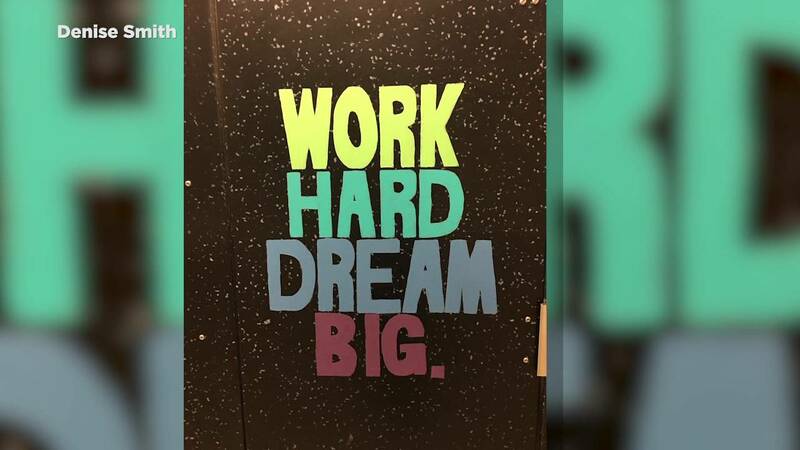 This year, right before the beginning of the school year, Skye got the idea to take her art to another level – the Warren High School girls bathroom. 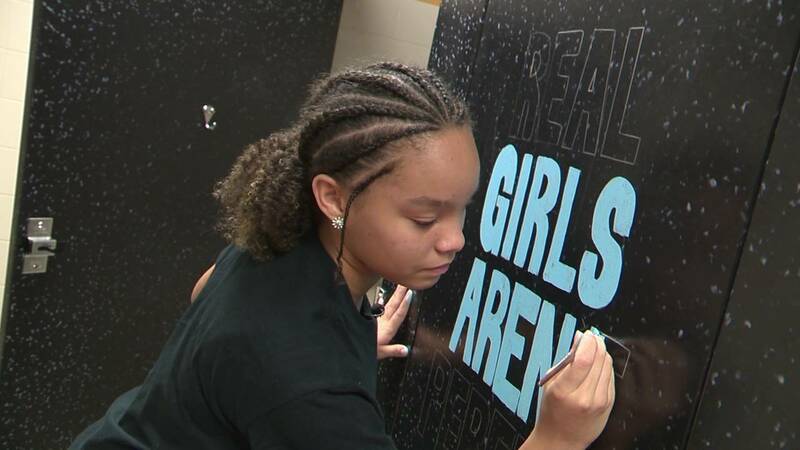 “A lot of girls go to the bathroom when they feel insecure or don’t know what to do about how they look, because they think they have to be what other people want them to be,” Skye said. Instead of spending her last summer days relaxing, Skye and her mother took to the stalls and painted inspirational quotes. 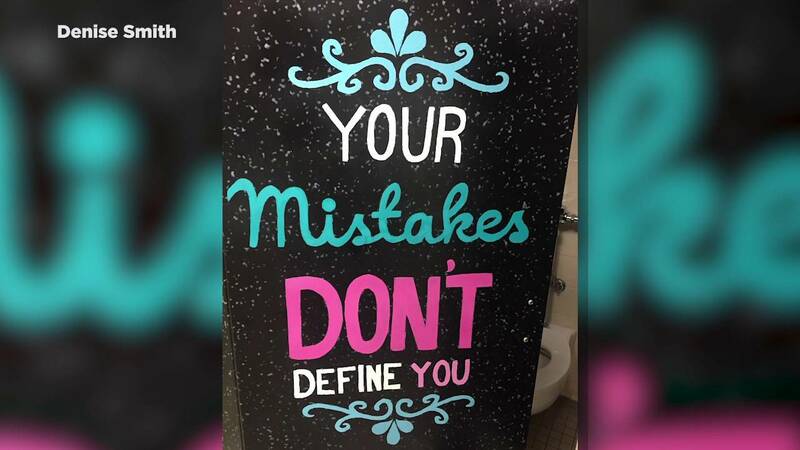 “My favorite one is ‘Your mistakes don’t define you,’” Skye said. “She knows who she is and what she wants, and for her to share that with other people makes me proud,” Smith said about Skye. Some of the quotes in the bathroom read, “She believed she could, so she did,” and “The world is full of beautiful things, just like you,” among others. 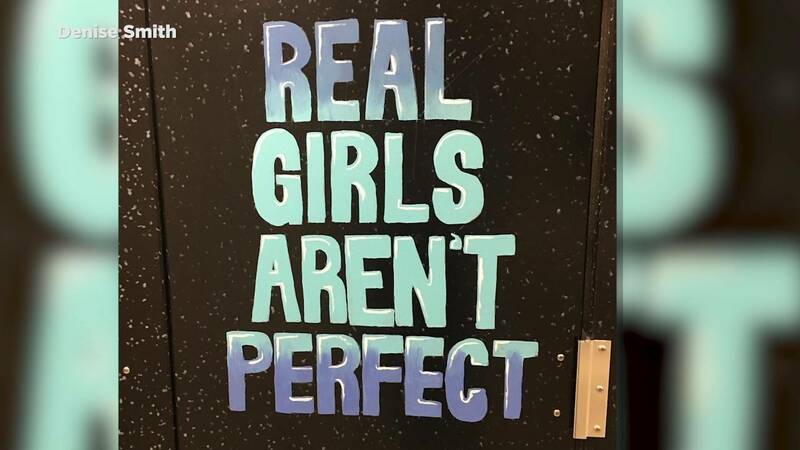 The quotes are meant to inspire high school students who may struggle with bullying, low self-esteem or who may just need something to smile about. And being able to inspire others with the person who inspires Skye the most, her mother, makes the bathroom art even more special for the teen.